It’s finally almost over! Although I was able to relax (maybe too much) and catch up on some much needed sleep (again… ), I’m glad that the pressures of deadlines and juggling my time to accommodate everything will soon be back. I guess it’s possible that if I were in Cancun, or Fort Lauderdale or Palm Springs I would be dreading the return to the daily grind. Possible, but not likely. Just like the 2006 version, I am looking forward to the conclusion of Spring Break 2007. Unfortunately and as I have discovered in the last five or six years - I am not built that way. If I don’t have some sense of urgency to get something done, nothing much gets done. And I want to say how unfair that is; lament why I can’t be happy doing nothing - indeed I want to curse the heavens, “What happened?” I used to be able to let the world go by with nary a thought. Not caring was all I cared about. Procrastination was often followed by dereliction and I was happy with that. Now, I am at my most content when there are things to do - the kinds of things that have a firm deadline. You know, the kind with an implied and understood “or else” clause. I like to read. I love to write. Photography is a passion of mine. And although I have spent much of my free time these past several days doing those things, none of them are required for anything at all. It’s just for my personal enjoyment. Still, I had to literally peel myself away from the couch almost every time. Therefore, as I write these very words, I am having a revelation - right here, right now! Could it be that a component of what I like so much about these and other similar tasks in my life is the deadline? Is it possible that for me to extract maximum contentment from my toils, there must be someone waiting for the results? I don’t want to give the impression that my life would be a stagnant blob without a deadline driving everything. The laundry still got done. The shopping and other chores are still unscheduled but regular events. But nobody is going to say anything if I intend to do such and such on Wednesday and I don’t get to until Thursday. There is no “or else” for these and other similar jobs. But I don’t generally like to do these things. I am not eager to go clean the bathroom - ever. But I do love to write, and shoot pictures, and read - really and truly. Why then have I not spent this abundance of free time doing those things? Why has it been such an effort to pour myself into these things, my favorite things? Part of it, I think, must be the lack of a deadline. No one requires it, no one needs it now and there is no pressure. It is not that I absolutely need that external pressure to do these things I enjoy - the evidence is before you, but it surely appears to be a component that drives production and in some abstract way adds to my satisfaction. Spring Break, as far as I’m concerned, might just as well be a three-day weekend. After more than a year of regular blogging, I have just been honored with my first blogging award. The Thinking Blogger Award was created to bring attention to blogs that contain more than just superficial pablum. It is a meme, and accepting the award means that I acknowledge and accept the tag. Although I have a general policy about not participating in memes or tagging, I have made exceptions and this is one. It doesn’t ask me to name “five things in my desk drawer” or “100 things about me” or “my top ten favorite movies” but rather, the top five blogs that make me think. It’s not about me. Besides, now I get to display this cool award on my blog… Ok, maybe it is a little about me! Unfortunately, there are more than five blogs that I visit regularly that make me think. Limiting myself to just five will be a challenge. However, I am confident that this award will make its way around to those that I didn’t include, as many of the bloggers on my blogroll read many of the other blogs as well. Dana over at Awareness deemed my blog a Thinking Blog after some other astute blogger identified hers as such. Fortunately for me, four of the bloggers I would have considered in my list are out of the running. Dana named three in her list and, of course, there is her blog, Awareness. Anna’s Photo of the Day: More than just a photo blog, Anna illustrates through her photography the day-to-day life of an American living in London. She has an uncanny ability to capture the extraordinary in the ordinary; the unusual in the usual and always has something positive to say even when facing life’s difficulties. Anna’s character comes through in her art, both photographic and written, and her blog is a daily stop in my travels around the blogosphere. Brumley’s Blog: Keith Brumbley is disenchanted with our (the U.S.) government. Not just the current administration, but politics as usual. He was so frustrated that he went on a media hiatus for quite some time. He didn’t blog and tried to insulate himself from all things political. But he truly cares and I knew he would be back, and with a vengeance. I wasn’t disappointed! We need guys like Keith who point out the painfully obvious to those who take what the mainstream media portrays as the truth. Imagine What I’m Leaving Out: This is Judy’s blog. Judy shares bits and pieces of her life from as recently as yesterday to her childhood. Often, she will post photos from days gone by. Her outlook, experience and perspective is always encouraging and uplifting. She calls them like she sees them - not too much gets by her. Although this is her new blog, she has been active in the blogosphere for some time. There are more than 1,120 posts in her old but still active blog, Just Ask Judy. WebKittyn Warbles: Kittyn owns an Internet radio station, KMRL - Kittyn Mojo Radio Live. She also has an impressive blog and a lot of awards. Now she has one more. Recently, she has been documenting her fight against the demon nicotine and the trials and tribulations of owning an Internet radio station. It’s a busy site, there’s a lot to see and do, but when clicking on the link, her blog posts are right up front. After all, it is a blog. Writing From the Inside Out: Barbara is one of my first and most loyal readers. She is extremely knowledgeable about music - especially rock from the 70s and 80s. Barbara is passionate about a number of causes, has a heart of gold and she’s smart. Her blog covers a wide spectrum; she is as likely to post a discussion on the major controversy of the day as she is a pop-quiz on pop culture. She’s not afraid to bear her soul on her blog - she is among the most authentic people I know. There they are. It was agonizing to select just five. Every blog on my blogroll has my implicit (and now explicit) seal of approval. In my May 2006 archives, I listed a brief description of all the blogs in my link list at the time - it took a loooong time. But it was worth it. Some of those blogs have disappeared, some have been abandoned and one, after changing away from Blogger, appears here as a Thinking Blogger award winner. I am often left dumbstruck when reading the prose of certain established writers. I am attracted to essayists and columnists primarily, but often a writer’s style is so compelling that I’ll read what I might otherwise put aside. It is also true of many lesser-known as well as many unknown writers I come across. I am not, however, what one might call “well-read.” Although I have read many of the classics as well as the not-so classic, I cannot quote chapter and verse or even recognize the words as those of a particular writer - but I remember reading them. Once an author gets my attention, I’m in. It’s not just a mechanical process of decoding letters and punctuation to convey information - it goes far deeper than that. Well written prose is to writing what a Rembrandt is to a technical diagram. It touches my soul and becomes part of me. The beauty, the anguish, the joy and the frustration are all equally represented seamlessly in the creation of an assemblage of words. Writing styles are difficult to define. The genres and marketing devices used to pigeonhole a writer’s work are all well and good, perhaps even necessary, but it’s not the same as the artistic wordsmithing that carries with it that which the author feels. It’s the identity of the writer, his DNA, as it were. Like a glass of wine that is described in terms like “full-bodied,” “robust,” “delicate,” and even “nutty,” writers capture that intrinsic, sometimes ethereal quality that is impossible to qualify. I re-read my own work often and it should come as no surprise that I am my worst critic. I will measure my work against the work of those I admire and end up feeling rather small. Then there are times when I have written something I truly like - really. And it’s not Didion or Orwell or Angelou or Twain… not Quindlen or Dillard or Hemingway or Elliot… not Mencken or Wills or Wolfe… or Woolf - it’s me. Although I cannot claim to be in the same league as these literary giants, I can still assess the quality of some of my writing by the same standard that leads me to theirs. Do I like it? Does it touch something deeper? Yes and yes. Some of my older work shows haste and inexperience while other pieces reveal something else. An essence that has the elements of insight and soul; a piece that’s leaves part of me behind; indeed, the transcendence of just words and punctuation that is an open door to my inner sanctum. As the painter expresses with oils, the musician with graceful audible vibrations, I have been successful in replicating the abstract for anyone seeking it; including myself. I don’t consciously try to create any kind of mood in my writing. If there is torment to be had, it must emerge on it’s own. Giddiness will find no artificial home with me. It’s straight from the hip; uncut and uncensored. I am nothing if not authentic. My greatest stumbling block today is getting the feeling out of my head and onto paper (or its virtual equivalent). There is only one combination that represents what I am trying to say. When I hit upon it, I know it just as I can feel it in the writing of others. When it’s not coming, I can’t force it. I do not aspire to be a writer of the class enumerated earlier. In fact, I don’t aspire to attain any class at all. If that is my fate, so be it, but it will be a by-product. The goal is to get it right… to convey what I am trying to say by encoding it so that when decoded, nothing is lost in the translation. That’s all. That’s enough. I smoked my last cigarette one year ago today. For 365 days, I have not been a slave to nicotine. It wasn't always easy and it wasn't my first attempt. I'm not boasting, but offering hope to anyone who is considering kicking the habit for the first time or the twenty first time - don't give up, it can be done. In the past four or five years, I have seemingly overcome a lifetime of adversity. Although I take a great deal of responsibility for the direction my life has taken - both good and bad - it has not always been the case. And it’s not as though I set out to encounter failure, disappointment and dead-ends, indeed, I don’t believe anyone does. However, due in large part to my own decisions, the first half of my life, more or less, was without direction. A number of factors contribute to my success today. Although, ultimately, it comes down to me doing the work, it was that very work that I was unwilling, incapable or too stubborn to perform in the past. Before any wheels could start turning, before any plan could be executed or and positive and lasting change could occur, I had to somehow change the way I saw the world. This would turn out to be no easy task. And I can’t say I have “the answer.” Oh sure, I have a pretty good idea of what it took for me (I don’t recommend it), but I’m pretty sure those who face any number of obstacles in life can find a way through it. I’m absolutely sure that anyone who seeks answers and applies the effort necessary can turn the corner - in fact, I guarantee it. So why then was it so hard for me to stop self-destructing? Why do so many seem to be stuck in a rut with no relief in sight? I can’t answer that. I’m not sure anyone can. If they could, all self-destructive “conditions” from addiction to obesity to adultery would be cured overnight. I’ve said it before and I still believe it: There are no magic words. I spent a great deal of time searching for that one “thing” that would get me motivated for a period of time that would support sustained success. There’s no there there. For a very long time I wanted to do what I knew I had to do to succeed and I just didn’t seem to have it in me. I’m convinced I was smart enough, but I was equally convinced that I was somehow not enough. Due to a traumatic accident and other things that went terribly wrong in my life in my late 30s, combined with a penchant for frequent albeit less violent self-destruction, I was provided with the gift of desperation. It’s perceptional - perhaps an exceedingly high tolerance for pain prevented me from receiving this gift earlier. No matter, it was the beginning of a new outlook for me. This perceptional shift, a little luck and a lot of help from family, friends and even some strangers were the basic elements of a completely new outlook on life. I did it… I am doing it… anyone can. Yet I couldn’t for a very long time. I wanted to; I knew how; I just didn’t know why I couldn’t keep it up. Terminal laziness? I don’t believe that. At any rate, I have it together today and furthermore, I know it’s sustainable. I know of many others (many of them personally) who have beaten their demons as well. My recent milestone of one year without smoking is evidence that I can apply this new “ability” in other areas. Again, anyone can. It is important for me to remember, however, how very difficult it was at first. And I’m not just talking about smoking. I had to unlearn many of my old habits and ways of thinking. I wasn’t always successful the first time. This is where the support comes in; I needed that help to try yet again. I never would have gotten back up and dusted myself off time and time again without the support of others. It’s all too easy to look down on those who are not able turn the corner in their life or some aspect of it. Whether it’s a battle with addiction or alcoholism, poverty, homelessness, over eating and, yes, smoking, I have to remember that knowledge, will power and desire are not enough. I can’t forget that no one would choose to live that way. Although I am proud that I have succeeded and will acknowledge my own significant contribution toward that end, I will not hold myself above another who can’t. I am happy as can be that I haven’t smoked in a year. It was not easy at first and sometimes it still isn’t. I applaud any one who has even tried to quit. If you didn’t make it - try again. And again. I didn’t quit because cigarettes were going to kill me - I can’t say for sure that they will, although the evidence is pretty damning. I quit because I was tired of them controlling my life. I was tired of being a slave to them. I was done with them - but they were not done with me. I took five tries over a period of 18 months before I finally held on. If I can do it, so can you. If you can’t do it, I couldn’t either - keep trying! Although I have little tolerance for bureaucratic inefficiency, it is important not to use the well-documented miles of red tape as a blanket excuse whenever anything goes wrong. I explained in my last entry how surprised I was to discover that I still need two classes in order to receive my bachelor’s degree in government-journalism at Sacramento State. My frustration was obvious and although I did mention that there was an oversight on my part and that I accepted maybe half of the responsibility, the school bore a significant portion. In that post, it was the school’s portion I chose to dwell on. After going to the powers that be, I posted an addendum that identified an employee who went well beyond the scope of her position to help me. Although she does not have the authority to just “sign off” on my degree, she offered some hope that I might be able to plead my case to the department heads that could. Although each professor and department head expressed outrage about how the system that should have prevented this broke down, none was able to do anything about it… it’s just too late in the game. And I understand. Indeed, as much as I would love to place the blame on a single person… I can only identify one individual: Myself. The complaints I leveled against the bureaucracy are all valid; I’ll not rehash them here. However, the bottom line is that if I had put as much attention on the procedure of navigating through this inherently bureaucratic system as I did on my course work - this never would have happened. And I really should know better - my major entails a great deal of study about bureaucracies. Furthermore, I did not make good use of the resources available to me. This was due partly to the fact that I thought I had it all figured out and because I might have been just a little too focused on the end. Either way, this situation is as much a result of my carelessness as it is an overwhelmed and under funded bureaucracy. It was my responsibility to use the resources available and be vigilant - I shouldn’t expect anyone else to take a greater responsibility for my future than me. Did the school drop the ball? Sure. But I wasn’t there to pick it back up again. Although this is a bit disappointing, in the big picture it doesn’t represent a huge set back and it might very well open new doors and opportunities. It sure gives me a little more time to carefully consider my future educational options - including the freedom to travel in the fall of 2008. It has been 26 years since my high school graduation - six more months isn’t going to kill me. It’s ironic that in 1985, San Diego State University asked me to leave due to my dismal academic performance (0.88 GPA) and now, Sacramento State is asking me to stay (3.72 GPA). It’s not as though I don’t have anything better to do with my time. I tend to write about things going on in my life and recently that has been about deadlines, procrastination and the tenuous coexistence of the two. It boils down to just-in-time time management and at this point in my life, it’s working for me. Although any just-in-time system has an Achilles heal know as the “unexpected,” as long as time reserves are available, everything somehow manages to get done. I am knee deep in the mid-semester crunch. I just finished the second and third to last major assignments due before spring break. The last paper is due tomorrow evening… I’ll start it (and finish it) tonight. So far, so good - right? Well, not exactly. The unexpected arrived in the mail yesterday - I should have expected it. Sacramento State has, like other universities, a procedure for attaining a degree. Of course it entails the required curriculum and the number of years needed to accomplish said course work, but there are other formalities as well. Some are rather perfunctory: Ordering graduation announcements; arranging for a cap and gown; reserving space at the actual commencement ceremony; etc. Others are administrative and have strict deadlines. Such is the case with the Bachelor’s Degree Application. Surprisingly enough, it’s a relatively simple form. It asks the future graduate to list the classes taken that are required for his or her diploma. Since the application is due more than one full year before the student’s projected graduation date, many of the classes listed will be taken during the student’s senior year. Officials in the admissions office have told me that the purpose of the one-year plus lead-time is to be sure there are no surprises; that the student will be able to finish his or her course work without returning for classes that might have been overlooked. I submitted my application on April 26, 2006. After talking with various advisers - whose job is to advise, expertly, one would hope - I had collected my coursework completed and that which was still required and listed it thusly on my Bachelor’s Degree Application - Graduating class: Spring 2007. In my mailbox yesterday arrived my Graduation Evaluation, almost exactly 11 months after submitting my application. It should be quite clear by now that if all went as planned you wouldn’t be reading this. Apparently, I am still required to take two upper division electives. Color me surprised! I immediately located my California State University, Sacramento 2004-2006 Catalog and turned to my already dog-eared major. Much to my chagrin, they were right. Although not absolutely clear, knowing what they want in retrospect, I can identify what they are talking about. However, at least three academic advisers and three other department advisers missed it. Everyone who looked at my course work, both completed and planned, indicated that it satisfied the requirements. Finally, seven weeks before graduation, they notify me that I still need two classes to obtain my degree. Now, I’m not unreasonable and I absolutely accept my share in the responsibility, but I have issues with the school as well. Perhaps the most significant is the amount of time that elapsed before I was made aware of this oversight. Had I been notified just two months earlier, I could have adjusted my final semester’s schedule to accommodate these courses. That would have given the powers that be a full nine months to get to my application, inform me that I have not met the requirement and give me the chance to rectify the situation in time. I won’t even go into the performance of the "advising" system. A timely return of my Degree Evaluation would have mitigated the institutional incompetence. So what. Take the two classes next semester and quit whining, right? Wrong! The deadline to apply for financial aide has passed - I didn’t apply because I thought I was done. Applications for Grad school (including law school) are fast approaching. Besides, last I checked, you have to have an undergraduate degree before entering postgraduate studies. Where it asks for my graduation date on the application, I will have to list December 2007. Lastly, there is the time and cost; both would have been non-incremental had I known before this semester started - both heavily incremental now. This is a taxpayer-funded institution. If you’re a California resident, these are your tax dollars at work. Student fees pay for only a small percentage of the education of the University of California or California State University student’s tuition. Perhaps I shouldn’t be surprised. When the CSU administration continues to stonewall the faculty on contract negotiations while the board of directors gives university presidents and other upper level administration exorbitant raises - and while raising student fees nine out of the last ten years - is it any wonder where their priorities are? The Office of Degree Evaluations is only open to students by phone from 9 a.m. to 1 p.m. and for drop in appointments during the same hours on Tuesdays and Wednesdays. Oh, and they’re not available at all on the third week of the month. Yup, this week. Next week is spring break and I am told that the Office of Degree Evaluations will be open. I’ll believe it when I see it. I don’t know what my options are right now, but I intend to find out - soon. I am confident that one way or another, I will persevere - know that! I am nowhere near done with this. Once I get my situation straightened out, I will be doing a little research… I am curious about just how common this is. My guess is that what happened in my case is far more common than anyone knows. Right now it’s time to be nice. There will come a time, however, when it will be time not to be nice - and I know how to do that too. As advertised, the department responsible for degree evaluations was closed today, however, the academic advising office was not. This office is responsible for helping lower division students nail down their general education requirements. Although I knew I stood a good chance of being redirected, I felt I had to do something... time is not on my side. After pleading my case to an understanding, sympathetic, but powerless adviser, a supervisor intervened with a genuine willingness to resolve my plight. As luck would have it, before working in the academic advising office, she worked as a degree evaluator for 12 years. She knew what to do and wasted no time getting right to work. Yhe upshot is that all hope is not lost, indeed, there is reason to be optimistic. However, as helpful as she is, she does not possess a magic wand - there is a great deal of coalition building, networking and plain, old-fashioned work ahead of me. We have a plan and it is already off the ground. This is not her job. She has every right to pass me off to a different department. What she said after helping me put together this plan was music to my ears: "If you run into any problems or roadblocks, you come straight to me... we're going to get you out of here this semester." I have all the faith in the world that with her help, my determination and just a tiny bit of luck, we'll do just that. So far, so good. Although my considerable list of pending work has been sliced down to a much more manageable size, deadlines are still right around the corner. The last two tasks on my list of things to do right now (as opposed to a standard “to do” list) are actually not due until Tuesday at 5 p.m. - 24 hours later than I had mistakenly believed originally. I discovered this fairly early on so that I was able to adjust my schedule accordingly. There’s no need to rush this stuff - yet. I was talking with my friend last night regarding matters of procrastination. I explained that I had this and that to do, I was up against the clock again and how I knew I would get my tasks completed on time. Furthermore, if recent history were any indication, the quality would meet or exceed expectations. Then it hit me. Why would I use the available time between assignment and due date to unnecessarily stress on what is still on the distant horizon? There are only two ways to eliminate that stress: Complete the task ahead of schedule or accept that I need so much time to do the work and allow for just that much time - no more. I know through repeated experience that the first option will not work with me. Despite my sincerest intentions to complete a task well in advance of the due date, it almost never happens. Exceptions would be situations in which too much is due at the same time and tasks must be prioritized in order to have the time to complete them all. Acceptance appears to be the key. Why fight it? Why spend hours, days, even weeks and months thinking about what I have to do in the future. I not only will not do it before it’s necessary, I can’t. While talking with my friend last night, I realized that without even knowing it, I have come to this place of acceptance. And it fits in with so much more of my unique personality (all of our personalities are unique, but that is a rant for another day). It validates my need for excitement and urgency. I am at my best, my most focused, in “the zone” when the pressure is on. I can’t create it synthetically, but I can mitigate the downside risk, i.e. failing to complete the assignment. As I get more in tune with this characteristic and maybe even understand why I go down this road time and time again, I can knowingly accommodate this need for urgency while at the same time allow for sufficient time to complete the work. It takes practice, sure, and the risk of the unexpected is still there, but if properly planned for, all can be finished on time and with the quality enhancing urgency I require in my work. Of course, there are some things that always have a flexible, indeterminate or translucent deadline. Those tasks that can be done "whenever" still have to be done. There are also those optional tasks that never have to be done, such as these very words. How, pray tell, would I ever get anything done without a firm deadline. I don’t know about anyone else, but for me these things fall into a different class. Indeed, perhaps “task” or “job” or even “work,” as these terms denote a goal with a time frame, are not the best descriptors. They don’t occupy a place on the list of things to do right now, but rather reside on the standard “to do” list. That way, I can do it all. Ok, time to regroup - enough of the existential, the metaphysical and the unanswerable. It is time to plunge back into the moment, the now, the present. Indeed, although it’s not like I’ve been obsessed with some kind of existential quest, reading my recent posts might lead one to believe so. In point of fact, I’m once again awash in reality - swamped, actually. There is much to do and not a lot of time to do it. These are the optimal conditions for me, a sweet spot where deadlines create just the needed pressure to motivate me but not so much pressure that I am in over my head. It’s a balancing act I have become quite adept at and recent results from mid-term exams indicate that my balance is dead-on. However, it is a tightrope that leaves little room for the unexpected. Fortunately, I have a little “surge” capacity… just enough space to squeeze just a little more time if the unexpected rears its ugly head. How does that work? If I wait until the deadline is looming and there is just enough time to complete everything, where, pray tell, am I going to find “extra” time? I mean, they’re still only putting 24 hours in a day, right? Usually the time is borrowed from sleep time. Although I rely on sufficient sleep every night, I can get by with less when necessary. If needed, a lot less. Time can also be liberated from low priority tasks and routines. Grocery shopping, laundry and other important but not immediately pressing chores can wait when a deadline gets a turbo boost from forces beyond my control. So why not start sooner and be done well before the deadline arrives? That’s a good question and one that has no single or simple answer. It has as much to do with how I am built as it does with the nature of the writing business. Often, it is a matter of triage. There are a number of tasks to be accomplished, each coming due at different times. It’s not just a matter of chronology, though timing does play a role, but I must also consider the time needed and the availability of sources. They have to be scheduled and coordinated when they’re ready, not when I am. It still comes down to balance though. If there aren’t at least a couple of balls in the air, I’ll wait until there are. I never have to wait long - the pressure starts building and in no time I’m booked for several days. Such is the case this weekend. By Monday night, I have a story due, a re-write due, and a take-home midterm due. On Wednesday night there’s another paper due and Wednesday afternoon I have to have four prints mounted for my photography mid-term. I just finished two other midterms (both "A"s, thank very much) and two papers ("A" on one, still waiting for the other). Triage. I knew this other stuff was pending, but the assignments and tests I just enumerated were pending first. And there is always something cooking on the back burner. It will be a busy weekend and as much as I am looking forward to the excitement of it all, I am also looking forward to it all being done. But I know that it’s never really over, it’s just a brief respite because that pot on the back burner will start to boil soon enough. I find myself with the urge to commit some thoughts to paper, but I’m not sure which ones or how to translate them from abstract ideas to concrete words. This creative process - the translation of thought into symbols - is familiar to me, often times it is so transparent it’s automatic. But not always. Call it writers block, call it confusion, call it cosmic interference… call it laziness, call it what you will - for some reason sometimes I have to force myself to wring out the words. This is such an occasion. I used to be obsessed with knowing why everything is just so and what creates my motivation or lack thereof. Why do some people get some things while others don’t? It goes without saying that said understanding would, of course, reveal the answer; the magic formula that would fix everything and at the same time deliver unto me all my heart’s desires - with little or no effort. I’m no longer a big fan of analyzing the minutia. Taking a break to reflect, however, never hurts and I believe I am long overdue. Although I have not posted to this space since Monday, my keyboard has not remained silent. Regular visitors here know that writing is a huge part of my life. It dominates my professional life, my educational life and my leisure life. All of these components (and others) are equally important. Indeed, finding something that I am equally passionate about in so many key areas of life gives me lasting gratitude. Although I enjoy all of the writing I do, the writing I produce for this blog is completely unrestricted. Most of my writing lately has been regulated by form or structure. So there’s that - maybe I have a need to be creative in an unrestricted manner. I could buy that, but it’s not the whole answer. The whole answer is far bigger. I have been waxing philosophical lately; asking myself those age old questions while observing the world around me in a detached manner. I’m wondering about things like permanence, change, time, origins and destinations. It’s nothing unique, nothing new and no, I don’t have any Einsteinian insights about what makes the universe tick. There are vast distances in time and space from the smallest subatomic particles to the universe… and beyond? Yet it is the more social aspects of human interaction that fascinate me. The news of the world and around the corner; the good, the bad and the ugly all wrapped up in a nice 30-minute package delivered right into our living rooms. There are the freedom fighters and the terrorists, the welfare moms and the corporate robber barons, the politicians and the pickpockets - a rose by any other name? Everything is changing so fast - too fast. I want to say that this is the most dynamic time the world has ever seen. I want to, but I can’t. It’s not true. The world is no more dynamic now than it’s ever been. The difference is that the world today is a world that I am experiencing first-hand. I’m not reading about it in some history book - I’m living it. In that respect, it is more dynamic - to me. But it’s always been a world in flux. Long before the first human ever set foot on this planet, it has been a dynamic place. Everything changes, nothing is permanent and our individual time here is insignificant to the planet’s history as a whole. 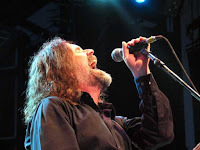 My last post was about Brad Delp, a rock star who died unexpectedly at the age of 55. He was the lead singer for Boston, a band whose music emerged at the same time I came of age. They became superstars and my generation was there right from the beginning. They had it all. Despite an enormous pool of talent, the band was only able to release two albums before the business end of the music business squelched their output for almost a decade. By the time the smoke had cleared - their time was gone. They would never reach the same pinnacle of success they enjoyed for a few fleeting years. Delp committed suicide. He was the guy who seemingly had it all: A golden voice, fame, fortune and adulation. Yet, apparently something was amiss, something was so painful that he could not go on. He is gone, but his music is still heard. Permanence? I don’t know. What about 1,000 years down the road? 10,000? 100,000? Everything is relative and I suspect that in as little as two generations, Boston will represent little more than a historical footnote. Even the venerable Beatles, who Delp was greatly influenced by, will fade away someday. And so will we. It Was About the Music and a "Rock & Roll Band"
I am a child of the seventies. I grew up in the seventies, I came of age in the late seventies… in the early eighties I became an adult. It was a tumultuous time, an apathetic time, a time when everything was being redefined, reinvented and moving as fast as it was standing still. I can’t say that my teen years were any more confusing because of the time in which they occurred, but in retrospect, there was a lot going on. Maybe too much. We were the generation that had to pick our way through the aftermath of so much revolution - and there was no clear path. But we had the music - the big-hair, larger-than-life, album-oriented rock. Radio stations in the San Francisco Bay Area read like a who’s who of pioneering "album oriented rock" stations. KSAN, KOME, KSJO, KMEL and later the classical turned “rock of the eighties” KFOG. These venerable beacons of sanity in an otherwise insane world kept us plugged in to the constants in our young lives… it was the music. I’m not speaking of the bands that emerged out of the sixties with a new coat of paint like Jefferson Airplane, The Rolling Stones or Led Zeppelin. True they were icons, rock and roll gods, really, but they predated my peers and me. When I discovered rock, these and other bands were already established superstars. The music that hit the scene as we did, the big-hair, big song and big venue mega bands, will always be near and dear to me. Van Halen, Boston, Kansas, Sammy Hagar, Triumph, UFO and the Scorpions, just to name a few. These were our bands, they grew up with us… and we were there on the ground floor. Some of these bands have faded into obscurity; some are still mega-stars or have resurfaced in any number of “re-union” tours. And please, keep them coming. Others were plagued with fits and starts - many of them were “one-hit wonders,” yet we loved them all the same. Some went to rehab, some mixed and matched members and far too many died. These guys were not much older than myself, and some are the same age. There have been a lot of rock stars that have died over the years, but none have had the impact that I have felt from Brad Delp’s death. I’m not sure why. True, Boston is one of my favorite all-time bands, but certainly not exclusively so. Others have come and gone, other heroes who I have seen many more times in concert have passed on, only garnering a passing reflection - a fleeting, "how sad," from me. This one is different. Boston was different. Many members of many bands can be and have been replaced - it happens all the time. 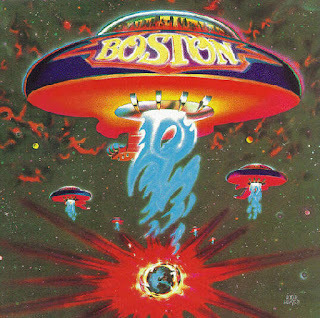 Brad Delp’s voice, however, was the sound of Boston - he cannot be replaced. But he left behind his music and that will live on forever. I’m 44 years old. That would make me 47 or 48 by the time I passed the Bar. Whoa! Wait a minute… I’m already passing the Bar! I haven’t even applied yet. And no, I’m not saying I will. Or did I? It’s three more years of full-time, reading, writing and memory intensive school. I’m not a kid anymore. Besides, what if they say “no.” They might. The two closest law schools to my home are the University of the Pacific McGeorge School of Law - ranked number 97 in the nation by U.S. News and World Reports - and University of California at Davis School of Law - King Hall, coming in at number 34. Even higher on the list and still reasonably close (but too far to commute) are the University of California at Berkeley School of Law - Boalt Hall, ranked number eight, and the Stanford Law School, ranked second only to Harvard. Numbers 87 and 93, Santa Clara University and University of San Franciso respectively, are also within 100 miles. McGeorge is closest, but it’s already late in the game for the fall semester. I haven’t yet taken the LSAT and can’t until June. Although it would appear the deck is stacked against me and I have significant doubt as to whether I am even capable of such a lofty goal, I have learned that these apparent roadblocks are merely challenges and, like all challenges, could be met and overcome. Or not, but I’ll never know until I try. I will take the LSAT in June and do the necessary research and apply when appropriate. Although McGeorge is ranked in a three-way tie for the bottom of the top 100, there are literally thousands of law schools; McGeorge only accepts a little more than 30 percent of its applicants. As I said - there are significant obstacles - I’m not wearing rose-colored glasses - I understand the odds. If I don’t try, I’ll never know. While I was setting up to shoot some pictures of the Truckee River last Saturday, these tourists (I know that's an assumption, but having lived there for five years, an accurate one I believe), just couldn't wait, I guess. I couldn't have planned this if I tried. They looked over, sort of chuckled nervously (I do have photographic evidence of a misdemeanor in progress - complete with a license plate number), and sped away. 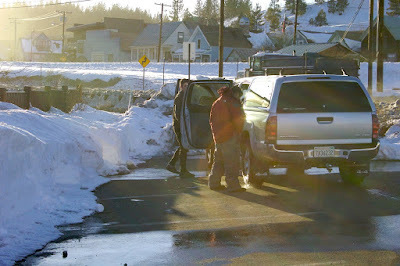 I could have protected their identity and blurred the license plate, but I am under no obligation to do so - so I didn't. You just never know who will have a camera these days. Thirty-three minutes to Monday. Sounds like the title to a song. It has been a busy weekend, perhaps one of the busiest yet this year. It’s interesting that, although not busy in an overwhelming way, I have been engaged in some sort of activity that was planned to one degree or another since Friday afternoon. But I haven’t done very much writing. And I am having trouble deciding what I want to say and how I want to say it - even now. Life has its ups and downs, or perhaps more accurately, it has its ebbs and flows. Indeed, life these days is rarely “down,” but it definitely cycles in an odd sort of multidimensional wave. Different aspects, or creative processes of my existence might be in bloom while others are dormant. To further complicate the paradigm, these cycles are of varying length; they could be as short as a few hours to as long as many years. And, of course, they are subject to change without notice. But what about that will? I have known for a very long time - at least as far back as junior high school - that I have the capability and the faculties to do most anything. And when I say anything, I mean just that. True, at this stage in my life there are a number of things that are beyond my capabilities, but when I was young, nothing was. And I think I knew it even then. All the same, most anything is still within my grasp. It’s not a matter of if I can or not; it’s a matter of if I will. It has always been a matter of willingness. It should be apparent by now that I have found the willingness to write something before this weekend has come to a close. It is now four minutes to Monday and in at least this one aspect, the weekend is now complete. These cycles, these irregular, multidimensional, interrelated yet independent, life-defining cycles are not completely random and can be influenced by attitude. Sometimes it takes a conscious effort to get willing. Willingness combined with capability, however, still did not produce anything. The final component - the key, really - to this model is responsible not only for the words that appear here, but also for the lack thereof all weekend. Work. Willingness without action means nothing. Capability unrealized is worthless. It takes effort; it takes action; it takes work. I have not written all weekend not because I have been busy not writing, but because I have been busy doing other things. Did taking numerous photos on Saturday fill some sort of creativity quota? Maybe, but it depends upon how one defines "creative." If defined broadly enough, all results from work represent creation; consequently all work is creative. In that respect, I have been creative all weekend. I’m not so sure the taking of pictures, as a specific activity, supplanted the need to write. It was either the process of expending energy - creative energy - all weekend that kept me away from the keyboard or, one could argue, the need to express myself through the written word wasn’t supplanted at all; the evidence is before you. The bottom line is simple enough: If I do nothing, nothing happens. Although the words often come very easily (tonight, not so much), they never write themselves - someone has to write them. I just received my new scanner via the wonderfully efficient people over at FedEx. I don't have time to say much more than that right now. Go over to my photo blog to see sone of my favorite shots (so far). I shot it with a Canon AE-1 Program on Ilford HP5 Plus, ISO 400. I printed it on Ilford Multigrade IV RC Deluxe. Everything was done on film and in a dark room right up to when the print hit the scanner bed. Gotta Run... there will be more. One of my journalism professors from last semester made a comment when our paths crossed on campus yesterday that has had me thinking ever since. It wasn’t anything derogatory or complimentary; it wasn’t accusatory or conciliatory; it was more along the lines of, “Some weather we’re having lately?” Except it wasn’t that. She said, “Only ten weeks until graduation.” Mine obviously, not hers. It’s nice to know that I have made a sufficient impression on her that she not only remembers my name, but also that I am graduating this spring. That she remembers me doesn’t surprise me, most of my professors do - I participate in my education. That she remembers when I am graduating is a bonus, but again it’s not what has caused this flood of self-analysis. It has everything to do with the text of her statement. It had a more profound effect than she could ever know. Ten weeks. This, my last undergraduate semester is already one third gone. And I’m still here. No crises, no self-destruction and I am certainly not resting on my laurels. If anything, I have stepped it up a notch or two, taking two classes (six units) beyond what is “good enough” to graduate. And that, I think, is key - good enough isn’t good enough. As a matter of fact, there is precious little that can stop me now. May 26 at 2 p.m., I march. And then a whole new adventure begins. Some trepidation? Sure, it’s part of the deal. But I can wait because before that journey begins, I have to finish this one. I’m in no hurry. The best part lies just ahead. Hell, I’ve dragged it out more than 25 years; I can wait ten more weeks. There are many, many lessons I’ve learned the hard way, through trial and error. One is that if I take my eye off the ball, I’ll surely miss. If I rush to fast toward that light at the end of the tunnel, it will blind me.